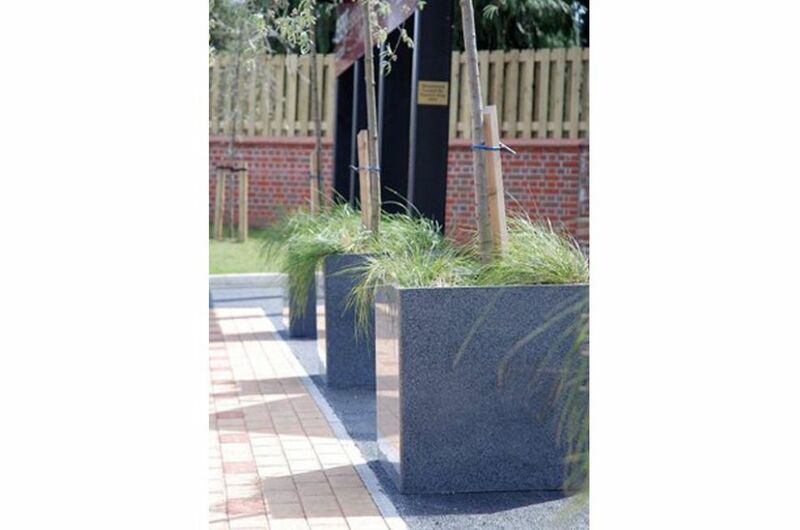 The granite cube planters selected are stock sizes of 500mm and 600mm respectively. 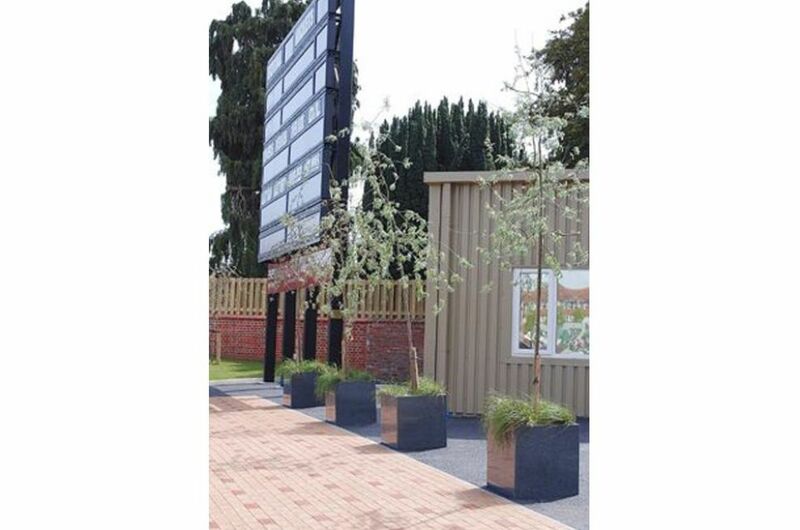 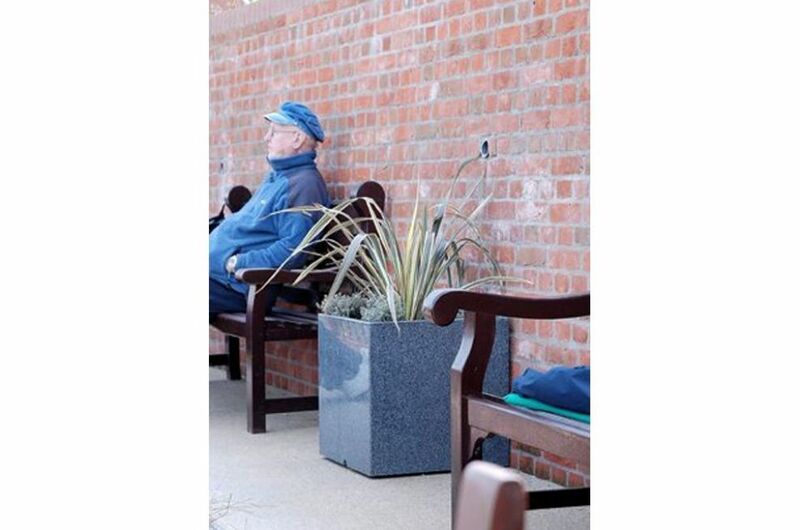 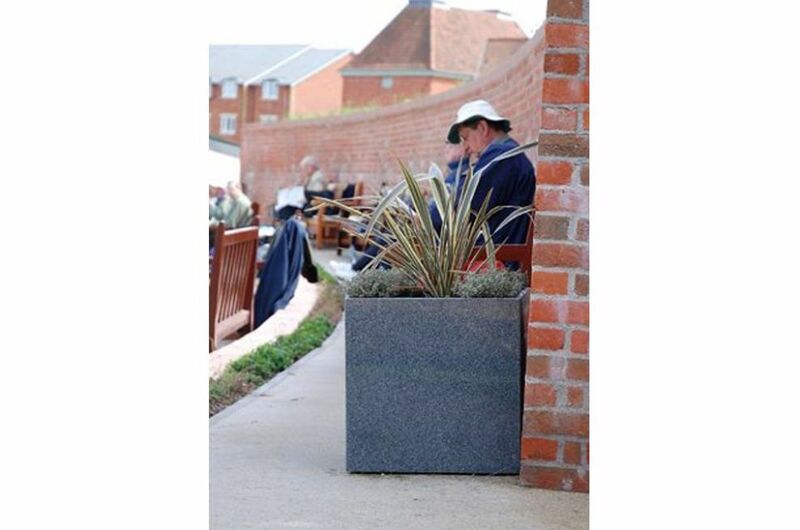 The planters are used primarily to add interest and character within the newly landscaped area of Gimbletts Hill, and to delineate and protect ground-side seating in front of the new west stand. 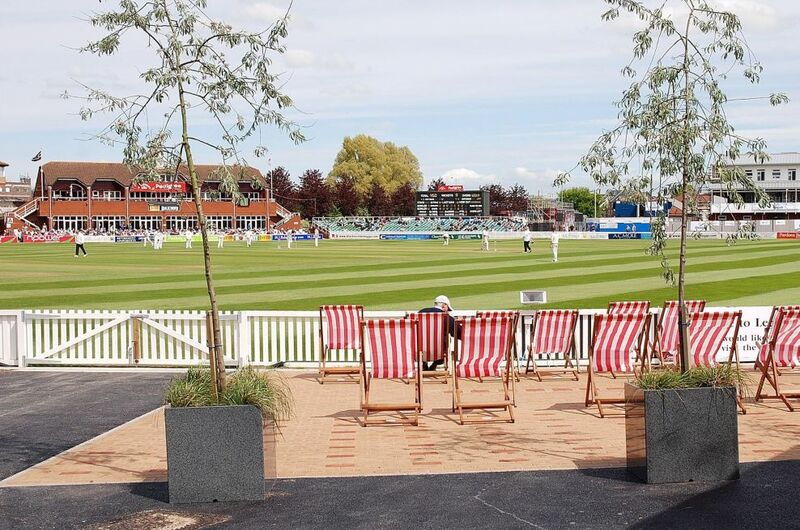 The current redevelopment by the Somerset CCC is part of a major, multi-phase regeneration project at The County Grounds, including 64 apartments above the west stand, a new Players Pavilion, and a new conference and banqueting venue. 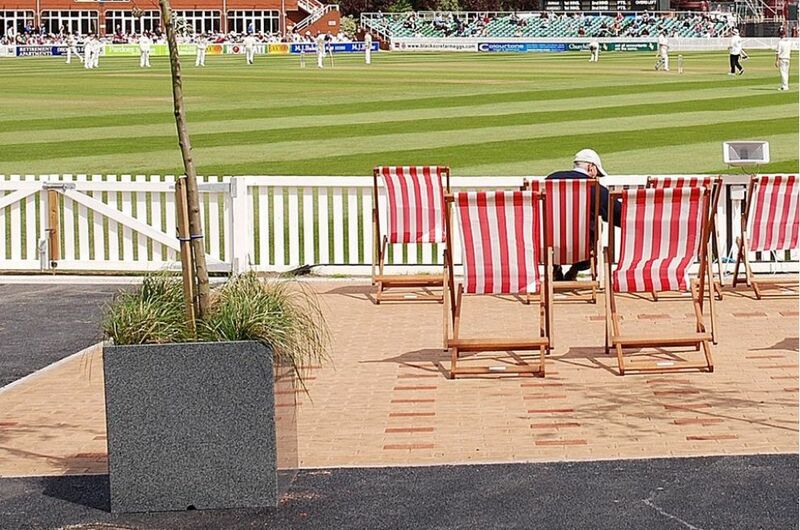 These developments are part of a wider initiative, Project Taunton, seeking to rejuvenate the surrounding environment of central Taunton. 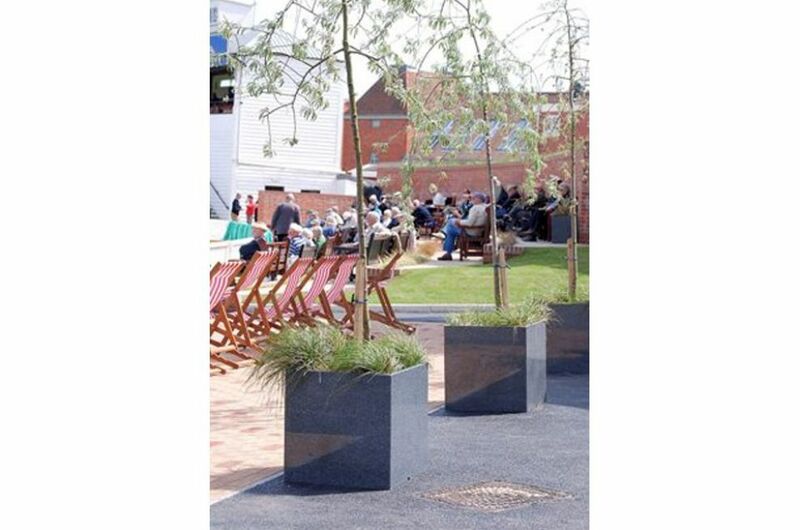 The overall masterplan for Project Taunton includes new public spaces, restaurants and shops in the adjoining River Tone and Brewhouse Theatre districts.